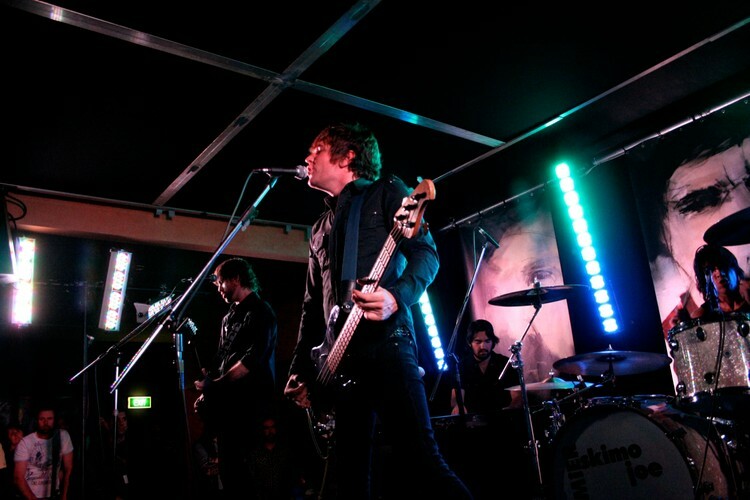 Eskimo Joe is an Australian rock band formed in East Fremantle, Western Australia in 1997. The band consists of vocalist and bassist Kavyen Temperley, drummer and guitarist Joel Quartermain and guitarist Stuart MacLeod. Their debut album, Girl, was certified gold in 2001. Their second album A Song Is a City was released in 2004 and was later certified double platinum. The first single from the album, "From the Sea", debuted in the top 40 of the ARIA Singles Chart, as well as being voted number three in the Triple J Hottest 100 of 2004.